This entry was posted in Albatross, Kauai and tagged Albatross, Kauai by kauaigreenhorn. Bookmark the permalink. And you know it’s a “he” because……. ? It will be fun if he hangs around, year after year. Can you get close to him at all? 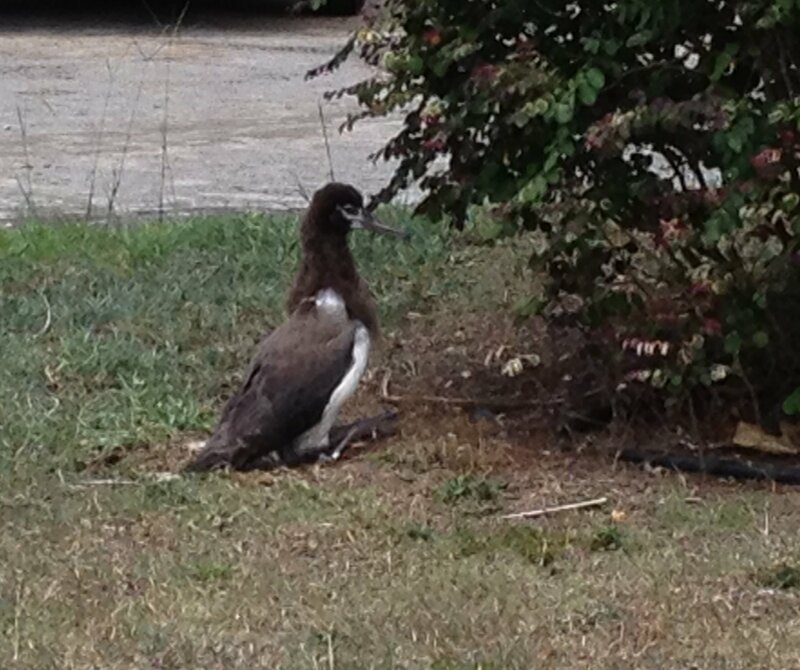 Might be fun to have an albatross follow you around your yard. No idea, I just figured he looks like a he! 😉 Once he’s fledged, he won’t return until he’s ready to breed, which I think will be a couple of years or more. However, mature adults do indeed return to the same place year after year. They are very approachable but easily stressed so everyone’s requested to keep their distance…at least 15 feet.